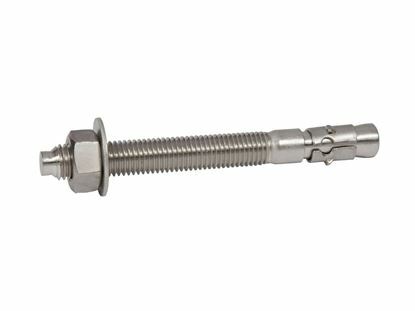 The American made 3/8" x 5" Stainless Steel Thunderstud Anchor (50 pcs per box) are used for attaching fixtures to solid concrete in wet outdoor environments. Every order ships directly from the Cleveland, Ohio for delivery in 1 to 3 days. The maximum fixture thickness or the maximum thickness of the material being fastened for a anchor is 2-3/4". This will ensure that the minimum embedment of 1-1/2" will be met. The hole can be drilled while the fixture is in place. 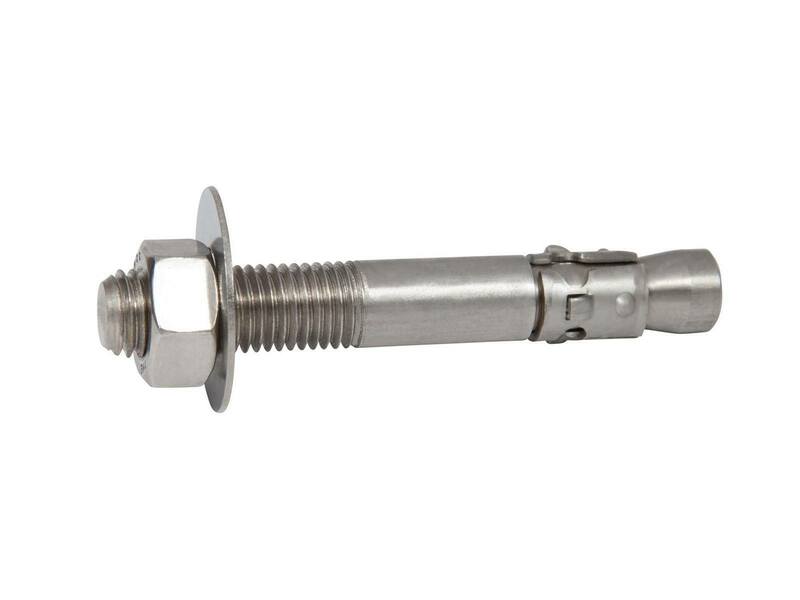 The minimum hole in the fixture for the 3/8" x 5" (five inches) Stainless Steel Thunderstud Wedge Anchor is 1/2". 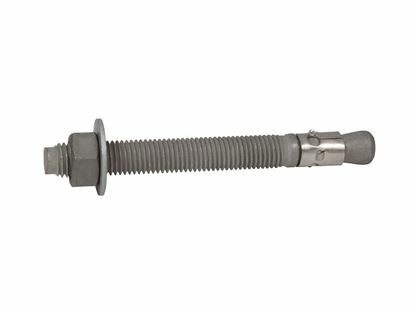 Put the nut and washer on the 3/8" x 5" (five inches) Stainless Steel Thunderstud Wedge Anchor, making sure the nut is on the last threads; this will protect the threads from damage when the wedge anchor is hammered into the hole and into the concrete.